Laser Lipo is an inch loss, fat reduction treatment that is not only effective but can transform your body with little effort on your part. Our clinic’s own before and after pictures are testament to the effectiveness of this pain free treatment. The inches gradually drop off as you progress into your Laser Lipo course. What’s more, once the inches are off, they stay off! 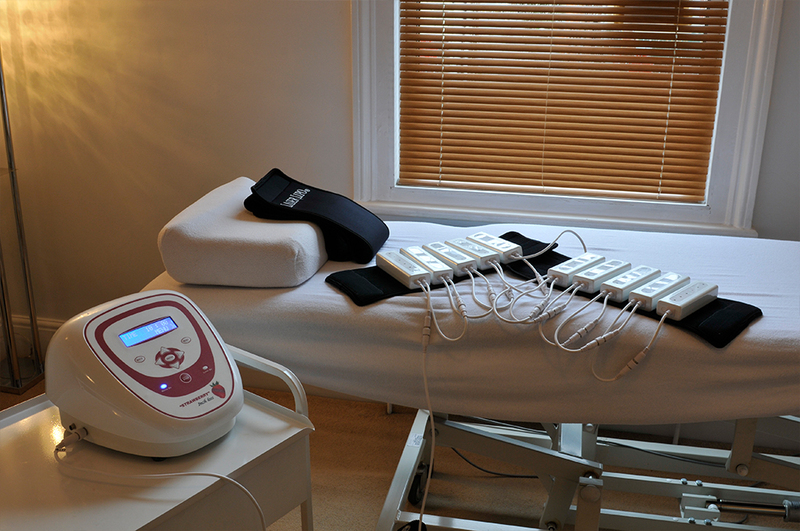 Call to book a course or our Try Me Session which at only £49 enables you to try a session of Laser Lipo at our clinic in West Wickham, Bromley near Beckenham, before committing to a course. This enables you to ask all those questions, see how a treatment feels (clients usually find it very relaxing) and start losing those unwanted inches. How Does Laser Lipo Work? Laser lipolysis (commonly known as Laser Lipo) uses low levels of laser energy to disrupt the fat cell membranes, thus rendering the membranes porous. As a result, the contents of the fat cell (adipocyte) spill out of the cell into the area between the cells. Sugar (glycerol) and water are also released, these compounds are used elsewhere by the body. The fat cell is still present however it has lost its round shape and is now flat. The newly released fat elements (triglycerides) are then transported through the body’s lymphatic system and ultimately exit the body when you urinate. This is why Laser Lipo is proven to give long term results as the fat is eliminated from the body. Exercise within twenty four hours of treatment ensures the breakdown and removal of fat from the area. Laser lipo is a particularly safe treatment and is clinically proven to act only on fat cells. There is no impact of the lasers on skin, muscle, nerve and blood tissues. Fat cells progressively break down over the course of treatment as they become more accustomed to the effects of the laser. There is no downtime after a session of Laser Lipo. You can get straight back to your normal activities with absolutely no pain, no swelling and no discomfort. When can the results be seen? Measurable results are often seen immediately following each treatment session. The main measurable difference, though, is between the measurements taken at the first and last sessions of a course of Laser Lipo. The scale of inch loss achieved will depend on the individual. Some clients show results immediately whilst others take a number of sessions for the fat cells to be broken down. How Many Sessions of Laser Lipo Will I Need? Optimal results are obtained with a course of eight treatment sessions. Fat cells will progressively break down with successive laser sessions. A Laser Lipo course consists of eight 30min sessions over (typically) four weeks. If a client needs to complete their sessions in under four weeks, this can be accommodated and discussed at the first session. We are sensitive to the needs of clients under pressure to achieve their goals by a specific date. How Long Will The Benefits of Laser Lipo Last For? The benefits of Laser Lipo are long term. The fat (triglycerides) that has been released from the cells has been eliminated from your body and will not return (unless you replace it!). All we ask from our clients is they maintain a generally healthy lifestyle long term and the results of the Laser Lipo will remain. What Level of Exercise is Required following a Laser Lipo Session? Cardio-vascular exercise within 24 hours is necessary and must be for a minimum of 40 unbroken minutes. A fast walk is sufficient, it is not necessary to go to the gym or run. What is most important is that the level of exercise must be to the point of gently perspiring (or a little short of breath if trying to have a conversation) and maintained at this level for 40 minutes. Client specific exercises will be discussed during the first treatment session. Please note we have had clients, who for medical reasons, have been unable to exercise. Although we were unable to guarantee results, these clients nonetheless went on to achieve good results with a course of Laser Lipo. Why Does the Amount of Inch Loss Vary? A larger client with more to lose will have more dramatic inch loss than a client who exercises regularly and is having Laser Lipo to trim a stubborn area. Inch loss will be more for a larger area such as the tummy than the arms. The amount of inches lost will depend on the level of input from the client. We ask that clients exercise as advised, maintain a healthy diet and reduce alcohol intake for the duration of the course. The most a client has lost in the clinic is 7 ¼ inches (a single measurement taken from just below the belly button). This was a very happy female client who lost it after course of Laser Lipo on her tummy. Other clients who have lost much less have been equally happy with their results as they started with different goals. 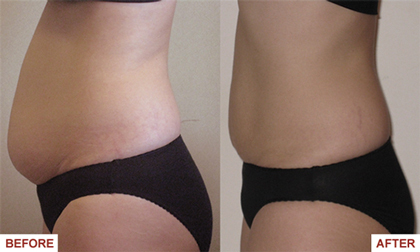 Some clients do not have much to lose and have Laser Lipo to address a small amount of fat on a particular body part. The most popular area of treatment is the tummy region. It is typical for clients having Laser Lipo in this area to report their trousers are looser, particularly in the second half of the course. Approximately a third of our clients are male. Often clients will want a course of Laser Lipo in preparation for a holiday or a particular social event. We have a number of repeat clients for this service and pride ourselves on achieving the best results possible for our clients. Do some people achieve better results than others? We have a before and after photo file of clients who have had Laser Lipo at The Artemis Clinic (these clients have consented to have their before and after images shown, body area being treated only). These results speak for themselves and can be viewed in the clinic on request. Some clients achieve more remarkable results than others, the level of loss can depend on the area being treated. For example the soft belly fat that a female may present with will often tend to go sooner than male belly fat. The amount of inch loss will also depend on the level of input from the client. We ask that clients commit to exercising within 24 hours of treatment and to simply maintain a healthy diet while having the treatment. We advise against drinking alcohol on a nightly basis as this would dampen the effectiveness of the treatment. We have a number of repeat clients for this service and we pride ourselves on achieving the best results possible for our clients. Laser Lipo offers a safer, more comfortable and affordable alternative to surgical liposuction. The results are long-term and the process itself is deeply relaxing. For optimal results a course of x8 sessions is advised. Price for course of eight Laser Lipo sessions – £595. If you would like to book a course, a Try Me session or would like further information about Laser Lipo, please contact the clinic on 020 8777 1500 or email us on office@artemisclinic.co.uk. Very impressed with the clinic look and feel. Easy going relaxed atmosphere. Treatment is easy and effective, visible results and I was sceptic before. I wasn’t sure if this would show results as prominently as this and I’m quite surprised. I would happily return here for all cosmetic needs. I think it’s a lovely, professional place. I recently completed a course of laser Lipo to help shift stubborn fat after having a baby. I was absolutely thrilled with the results and would highly recommend Laser Lipo. The whole experience was extremely professional and thorough. The clinic itself deserves 5 stars for stylish appearance and cleaniness, along with the helpful and friendly staff. I have recommended the treatment and clinic (which boasts a superb variety of other treatments) to my friends and family who have also been very satisfied. Read up on laser lipo and was very sceptical but thought I would give it a try. After my 8 sessions I lost 10 inches from my midriff and stomach area. So very happy as my stomach hasn’t shrunk in years. There is always a warm welcome at the clinic, it always runs to time and nothing is too much trouble for Elaine and the staff. I would highly recommend. Our clinic is a few minutes drive from Beckenham & Bromley and a short walk from West Wickham rail station, is open Monday to Saturday from 8.30am until 8pm but times do vary throughout the week. Please note the reception staff are available to deal with any walk in enquiries from 9am – 4pm. Telephone calls and emails are monitored until 6pm. In addition to self-referrals, we also receive referrals from GPs, consultants and solicitors. We aim to offer same day appointments when requested. © 2019 The Artemis Clinic 1st Floor, 106 - 108 High Street, West Wickham, Bromley, Kent BR4 0ND Tel: 020 8777 1500. All images are the property of the Artemis Clinic and are subject to copyright regulations and should not be reproduced.